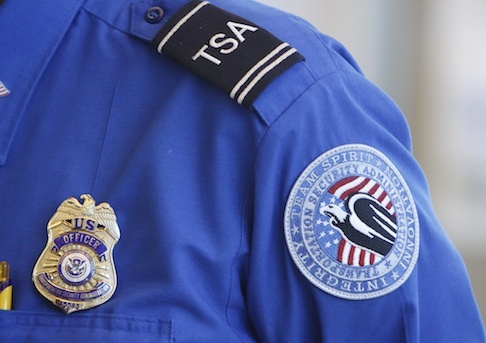 A Transportation Security Administration (TSA) agent was arrested Friday for conspiring to smuggle illegal aliens into the country. Immigrations and Customs Enforcement officers arrested David Alexander Díaz-Torres in Orlando, Fla., according to the Justice Department. Díaz-Torres and five others were charged in a 13-count indictment for bringing, transporting, harboring, and shielding illegal aliens within the United States. According to a Justice Department press release, a group of Brazilian nationals were smuggled through the Luis Muñoz Marín International Airport in San Juan, Puerto Rico. Díaz-Torres allegedly allowed the Brazilians through a TSA security checkpoint without questioning them. The group then flew to New York, Boston, and Philadelphia on commercial flights. "It is very troubling when law enforcement authorities have to arrest a corrupt federal employee who is alleged to have undermined our nation’s security, our overall safety, and the public trust and confidence we place in those chosen to protect and serve," A U.S. attorney said in a statement. "The Justice Department’s commitment to preventing human smuggling, bringing smugglers to justice and assisting victims has never been stronger." This entry was posted in Politics and tagged TSA. Bookmark the permalink.